With Chinese exporters emptying supermarket shelves of toddler formula and an accompanying increase in the price, parents who rely on these products are expressing alarm. Discussion has focused on why formula is being sent to China. However, the greater question of why so many Australian parents are buying toddler formula at all has been largely ignored. Health authorities in Australia and across the world have unequivocally decried toddler formula as unnecessary. Just this week, the Public Health Association of Australia again urged pharmacists, GPs and nurses to inform parents that these products are a waste of money. But it seems health authorities and professionals are losing this battle. Growth in toddler formula sales is unrelenting. Toddler formula is a modified milk that is marketed as suitable for children 12 months and older. It is made from powdered cows’ milk to which fat, vitamins and minerals are added. But processing also reduces some nutrient levels – for example, most toddler formulas contain less calcium than whole cows’ milk. There is no regulation of the composition of toddler formula, so products vary in what they contain. What is common to all toddler formula is the lack of evidence that the product is of any benefit. Toddler formulas did not exist until relatively recently. And the evidence is that they were created, not as a product intended to be profitable in itself, but as a sneaky way of circumventing restrictions on the marketing of infant formula. Decades ago it was identified that aggressive marketing of infant formula was causing sickness and even death of babies. 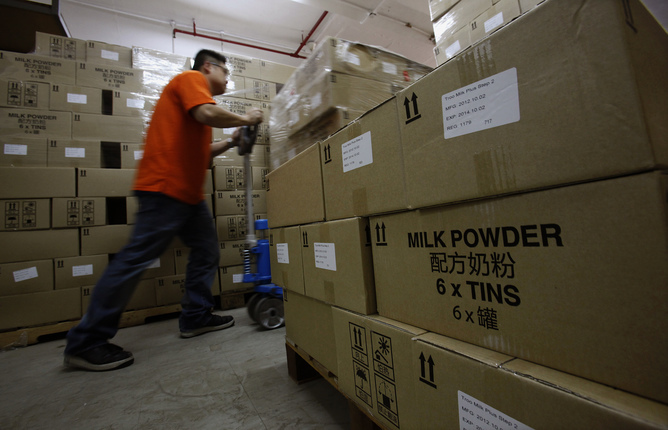 The international community agreed that infant formula marketing should be restricted. However, national definitions of infant formula varied. In some countries, it included only milk products for babies up to six months of age. In others (including Australia) all formula for babies up to one year of age met the legal definition and was restricted in marketing. Formula manufacturers’ reaction was simply to create new products that were outside the restricted age range (whatever that was). And so toddler formula was born. Toddler formula was identically packaged and branded and used the same health, nutrition and other benefit claims that were used on infant formula products. Parents understand toddler formula advertising to be advertising infant formula. And so companies continue to market infant formula with impunity, using toddler formula as a trojan horse. But the companies enjoyed an unexpected benefit from creating toddler formulas. They became profitable in their own right. Powdered milk is an abundant and inexpensive commodity. By adding a few cents worth of fats, vitamins and minerals, cheap powdered milk could be presented to parents as “Premium”, “Pro”, “Gold+”, “Organic” or even “Platinum”. This turned a product that might otherwise sell for A$7 a kilogram into something that retails for A$19-28 a kilogram. Australian parents have expressed anger that formula is being stripped off Aussie shelves and sent to China. Anyone who knows a toddler, knows they are fussy eaters. Dietary guidelines are complex and not always easy to follow. Toddler formula advertising articulates and amplifies parents’ reasonable concerns about their child’s health, then offers an expensive solution to their anxiety. Advertising offers “peace of mind” by claiming to provide a simple, effective way to be sure children’s nutritional needs are fully met. However, consuming toddler formula in the volumes recommended on the package is likely to discourage children from eating the very foods that will ensure they are properly nourished (because it fills up their tummies). As a result, parents will often notice that “my child won’t eat”. That increases their anxiety, creating a dependence on the very product that discourages their children from eating a variety of foods. One question parents sometimes ask is why it is recommended children be breastfed past their first birthday and up to or beyond two years of age but it is only recommended that children be formula fed until the age of one. The answer comes down to the difference between what breastmilk and infant formula contain. Breastmilk is a complex human tissue providing not just protein, carbohydrate, fats, vitamins and minerals but a variety of growth and immune factors. Infant formula contains a broad approximation of the major nutritional components of breastmilk but lacks the growth and immune factors of breastmilk. Children who are breastfeeding beyond a year continue to obtain natural growth and immune support from breastmilk. In contrast, formula milk (including toddler formula) confers no nutritional or health benefit to children over a year old, beyond that provided by a diet of normal healthy foods, including ordinary, fresh, cheap, cows’ milk. So the solution to the shortage of toddler formula in Australian supermarkets is to resist the power of advertising to part you with your money. Keep breastfeeding if you’ve been breastfeeding, or switch to fresh cows’ milk if you’ve been formula feeding. Avoid offering toddlers foods that are high in calories and low in nutrients (like fruit juice, biscuits and processed snack foods) so that they develop an appetite for nutritious foods. And relax!